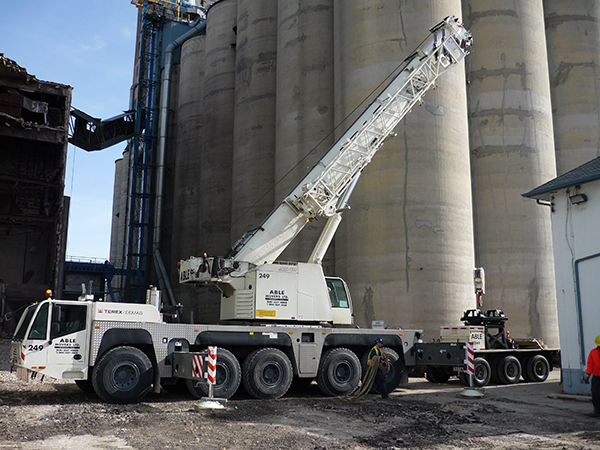 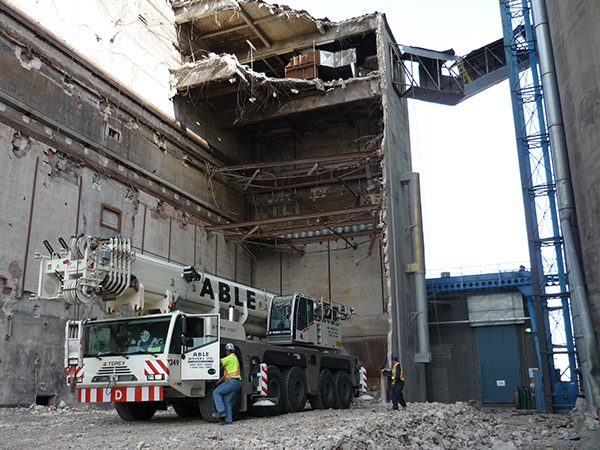 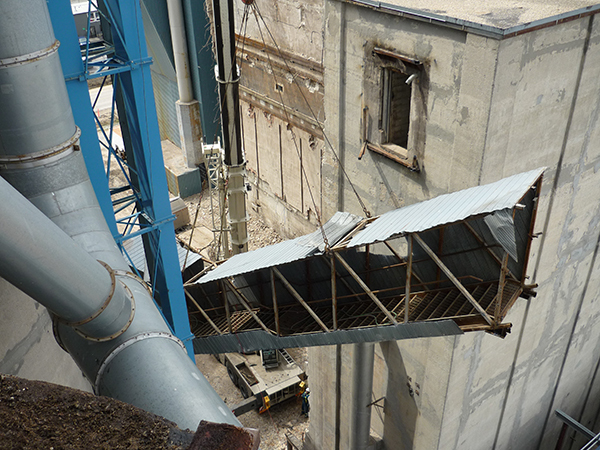 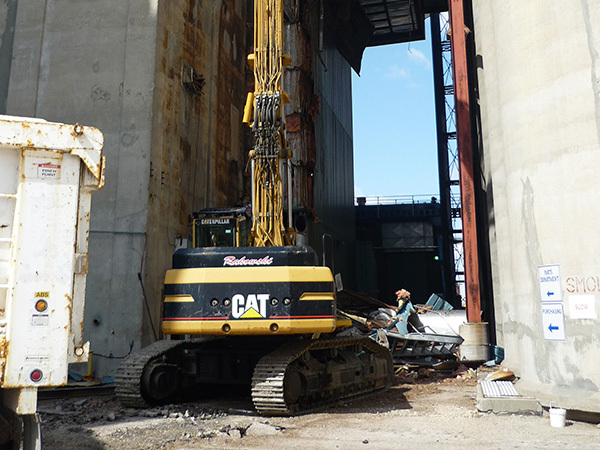 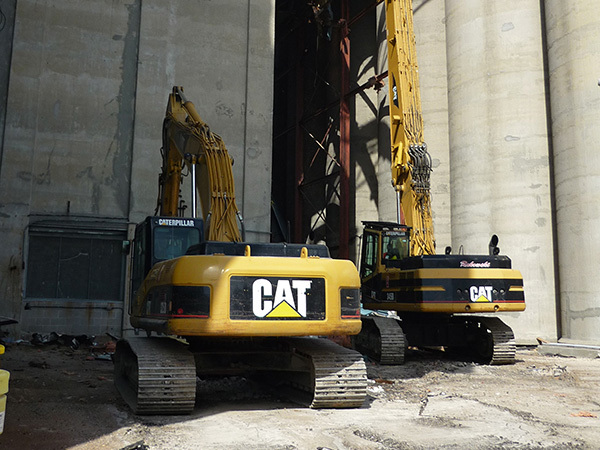 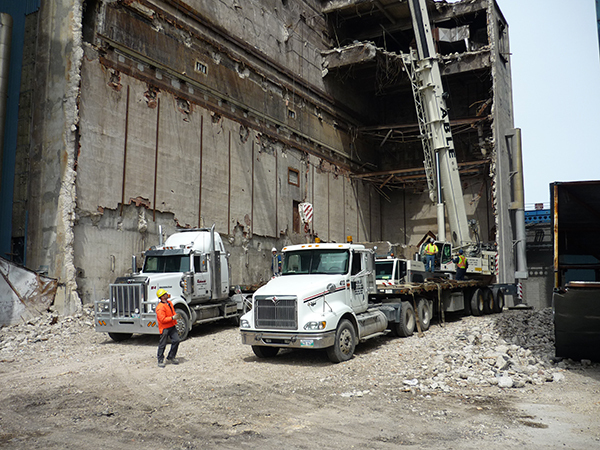 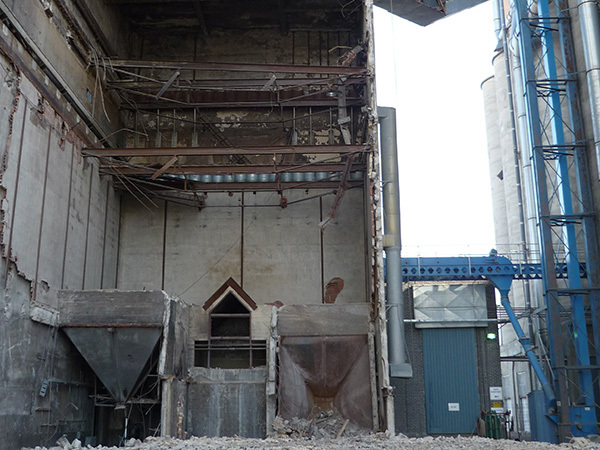 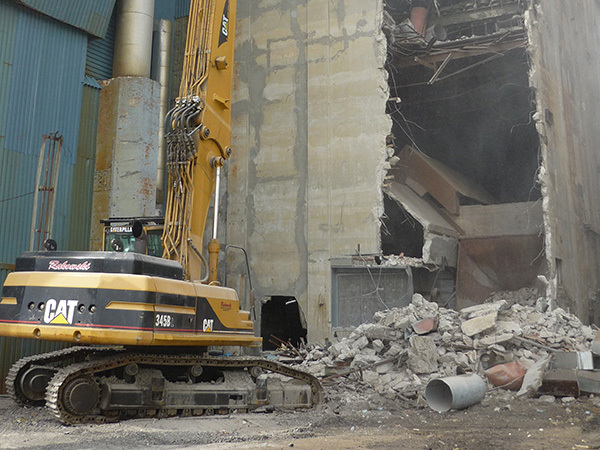 Demolishing a 90ft tall kiln building, the concrete structure was situated in the middle of an active plant with access only from one side and surrounded by other buildings. 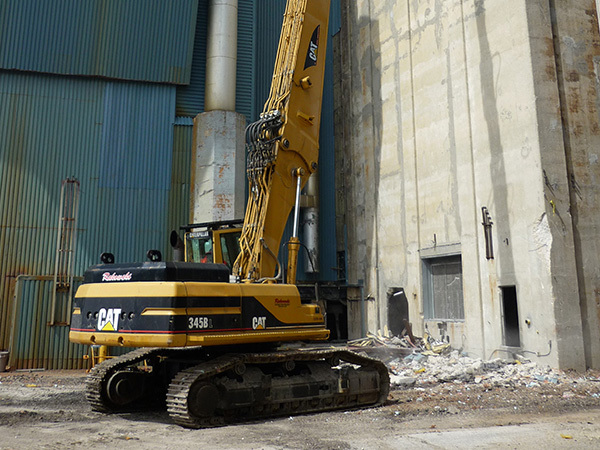 With very little room to work the building was demolished bit by bit with our UHD excavator. 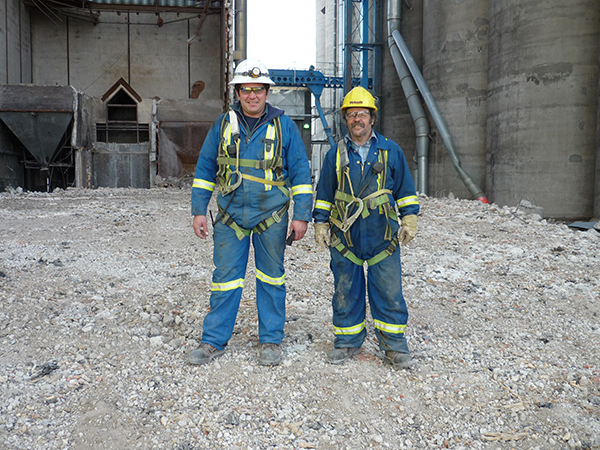 Client: Malteurop Canada Ltd., Wescan Ltd.